DJ NIGHTS & LIVE BANDS ON VARIOUS NIGHTS THROUGHOUT THE MONTH. CALL FOR SCHEDULE. DJ NIGHTS /ONE MAN SHOW LIVE MUSIC ON SELECT NIGHTS. CALL TO CONFIRM SCHEDULE. Karaoke is back at Champions! Back by popular demand, Champions is now hosting Karaoke night every Friday beginning on January 3rd, 2014. Let the good times roll with Champions Karaoke nights. Champions can also be booked for private parties with a state-of-the-art sound system, DJ booth, dance floor and catering. LIVE MUSIC ON SELECT NIGHTS. LIVE DJ NIGHTS ON THURSDAYS & FRIDAYS. A POPULAR NIGHTCLUB STYLE BAR. DJ NIGHTS. CALL FOR SCHEDULE. STYLISH ROOFTOP LOUNGE AND BAR WITH COLORFUL DECOR & LIGHTING. LIVE ARABIC TRADITIONAL MUSIC ON VARIOUS NIGHTS. CALL FOR SCHEDULE. DJ PLAYS AT JJ'S FROM 10PM-3AM ON THURSDAYS & FRIDAYS, BUT CALL TO CONFIRM. COVER CHARGE. A LIVE ROCK BAND PLAYS EVERY TUESDAY NIGHT FROM 8PM-12MIDNIGHT. LUXURY PRIVATE CABANAS WITH A JACUZZI, A'LA CARTE DINING, DRINKS, LCD, WI-FI AND A DEDICATED BUTLER. 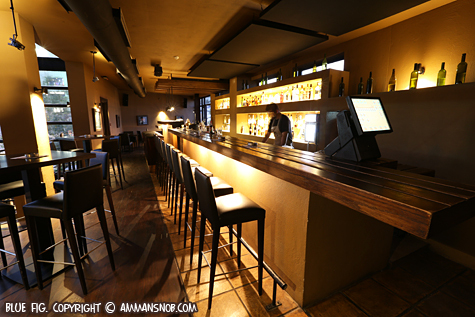 A LIVELY TERRACE LOUNGE WITH UPBEAT BACKGROUND MUSIC. LIVE BAND ALSO PLAYS ON SELECT NIGHTS. DJ NIGHTS EVERY NIGHT EXCEPT THURSDAY. THURSDAYS A LEBANESE BAND PLAYS. 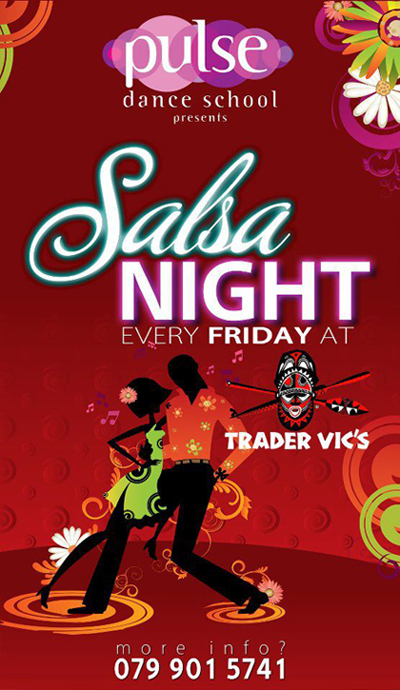 FRIDAY IS SALSA NIGHT WITH A LIVE CUBAN TRIO. TANGO NIGHTS ON MONDAY. 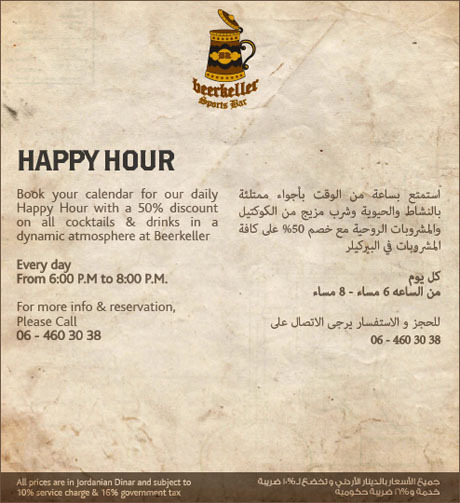 A MIX OF ARABIC AND AMERICAN MUSIC WITH A DJ OR LIVE BAND. MINIMUM CHARGE ON SELECT NIGHTS. CALL FOR ENTERTAINMENT SCHEDULE. A POPULAR POOLSIDE LOUNGE WITH DJ.